The Tao of Art Workshop II: Comics! Purple Cloud is excited to announce that art therapist Katharine Houpt (of Katharine Houpt Art Therapy and Counseling) and acupuncturist/meditation teacher Sonny Zaide will be teaming up together again for “The Tao of Art II: Comics!” on July 28th, 2016! Purple Cloud is proud to announce a unique workshop entitled “The Tao of Art,” featuring art therapist Katharine Houpt and licensed acupuncturist and meditation teacher Lorel “Sonny” Zaide. 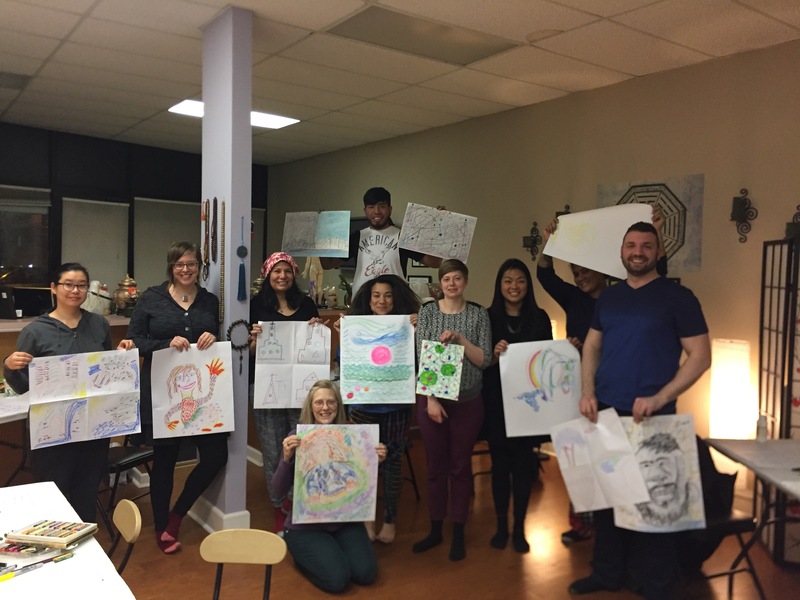 In this class we will be marrying the therapy of creating visual art (drawings/paintings) with the Taoist philosophy of “Wu-Wei,” or effortless action. Meaning, you’ll learn how to peacefully create beautiful drawings that are reflective of your inner brilliance without getting in your own way.